If your date night routine is getting a little too, uh, routine, then it’s time for something new. Whether you’re looking for free date ideas or something more extravagant, we have lots of suggestions for things to do in the Reston area of Northern Virginia. Go for classic romance with a rented boat at Lake Anne. 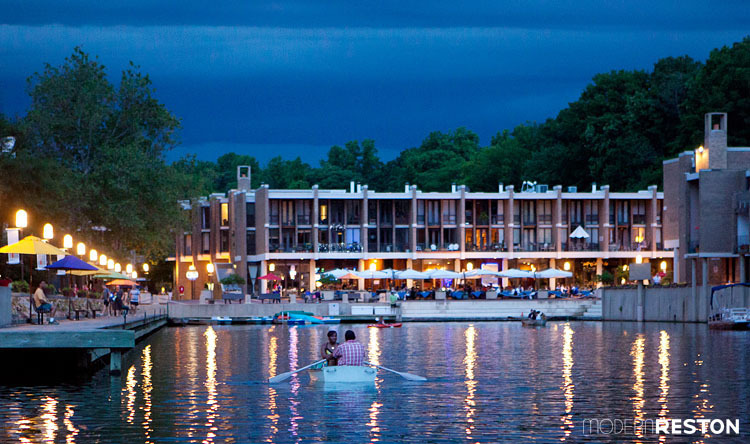 ☐ Rent a boat for two at Lake Anne or Lake Fairfax. ☐ Pack a picnic and sit at the shores of Lake Audubon. ☐ Win a prize at a carnival. 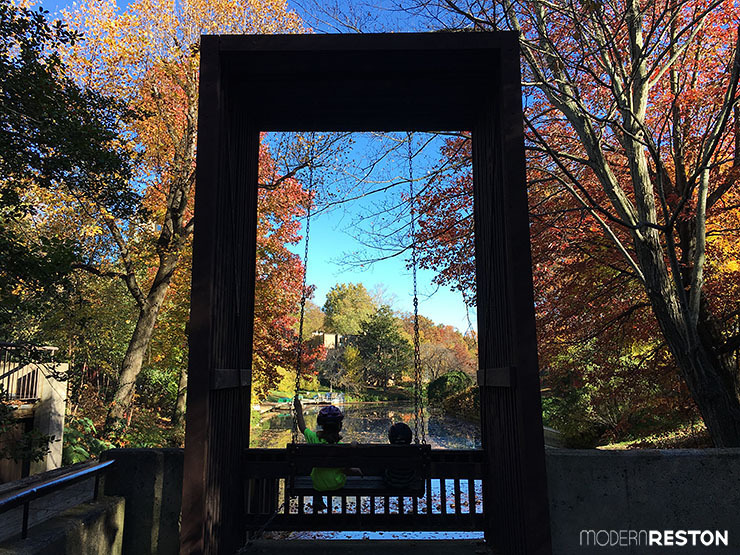 ☐ Cuddle in the swing at the Lake Anne canal. ☐ Visit an art exhibit at the Greater Reston Arts Center. ☐ Ride the Capital Wheel over National Harbor. ☐ Pick flowers at Burnside Farms. ☐ Walk along the historic streets and waterfront of Old Town Alexandria and visit the Torpedo Factory. ☐ Explore Meadowlark Gardens and surround yourself with flowers. ☐ Go dancing at Colvin Run Dance Hall. ☐ Take a river cruise on the Spirit of Washington or the Odyssey. Sweep her off her feet at a summer concert. ☐ Go to a show at Wolf Trap, the National Park for the Performing Arts. ☐ See the latest theatrical production by Herndon’s NextStop Theatre. ☐ See concerts and community theater at Reston’s CenterStage. 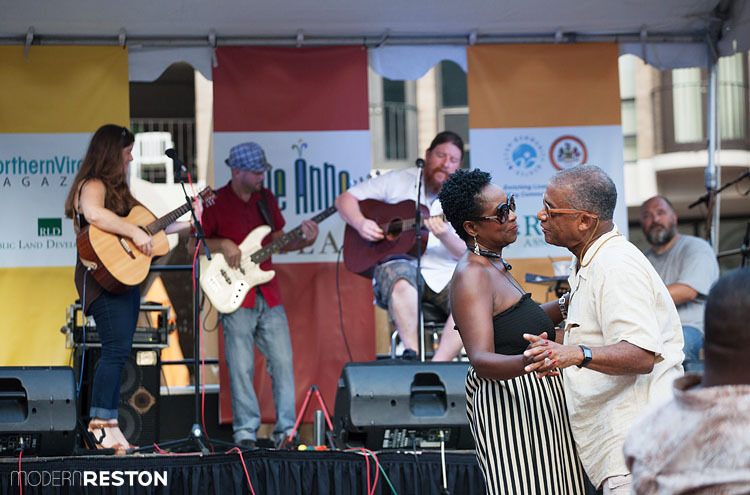 ☐ Head to a free summer concert at Reston Town Center, Lake Anne, or Herndon. ☐ Hear live music at Kalypso’s Sports Tavern or Cafe Monmartre. ☐ See a comedy show at the Arlington Cinema and Drafthouse. ☐ See a show at the Kennedy Center and watch the sunset over the Potomac. A walk around the Lake Thoreau trail can end at a restaurant at South Lakes Village Center. ☐ Walk around the two-mile Lake Thoreau trail, and end with a sunset view from the dam or a restaurant. ☐ Bike along the W&OD Trail. ☐ Hike along the Potomac from Riverbend Park to Great Falls and back. ☐ Go indoor parachuting at iFLY Loudoun. 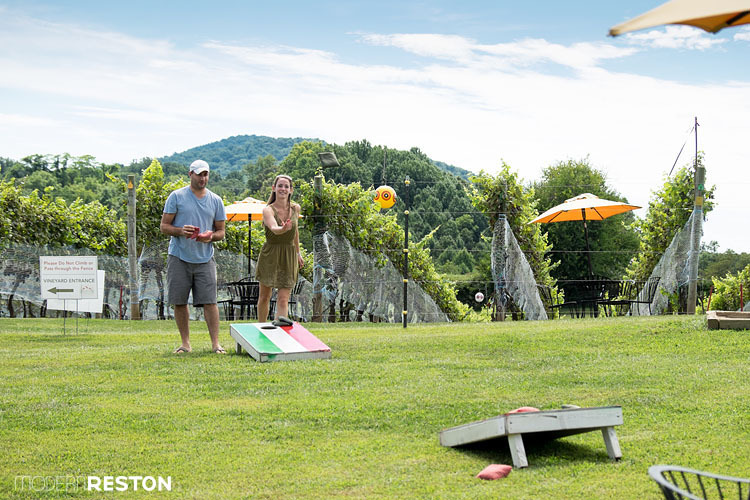 ☐ Play at a driving range with all the comforts of a bar at Topgolf Loudoun. ☐ Book a paddleboard session with Surf Reston. ☐ Go ice skating at Reston Town Center. ☐ Take a free outdoor yoga class. ☐ Soar down the slides at the Water Mine water park. ☐ Go rock climbing at Sportrock Climbing Center. 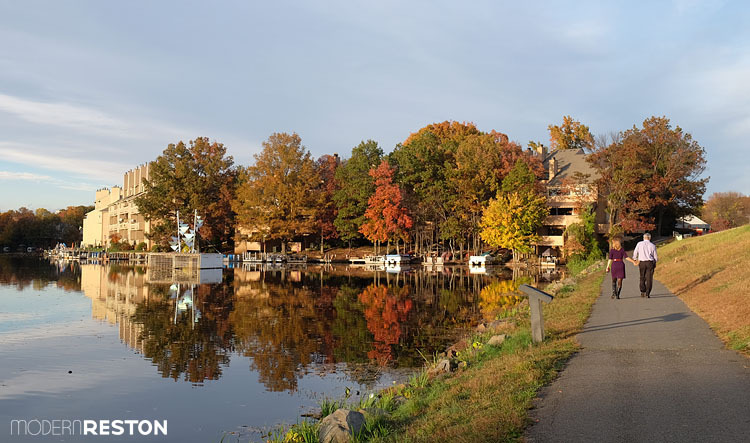 ☐ Walk around Lake Newport and take in the spectacular fall foliage. ☐ Fly kites at Baron Cameron Park. ☐ Rent a kayak or canoe at Fletchers Boathouse on the Potomac. Three Fox Vineyards is one of many fun and romantic places to spend a beautiful afternoon. ☐ Relax an afternoon away at a winery. ☐ Taste the latest beers at the Lake Anne Brew House. ☐ Check out the huge, new Tysons Biergarten. ☐ Sample Herndon’s local brews at Aslin Beer Co.
☐ Take a wine tasting class at Washington Wine Academy. ☐ Have a glass of wine on the beautiful courtyard of Clifton’s Trattoria Villagio wine bar. ☐ Sample the wines at the Tasting Room Wine Bar. The Udvar-Hazy Air and Space Museum offers an IMAX theater, observation tower, and tons of cool planes and spaceships. ☐ Learn a new art technique at ArtSpace Herndon’s Design and Wine. ☐ Team up as a double- or triple-date, and try to conquer the Escape Room. 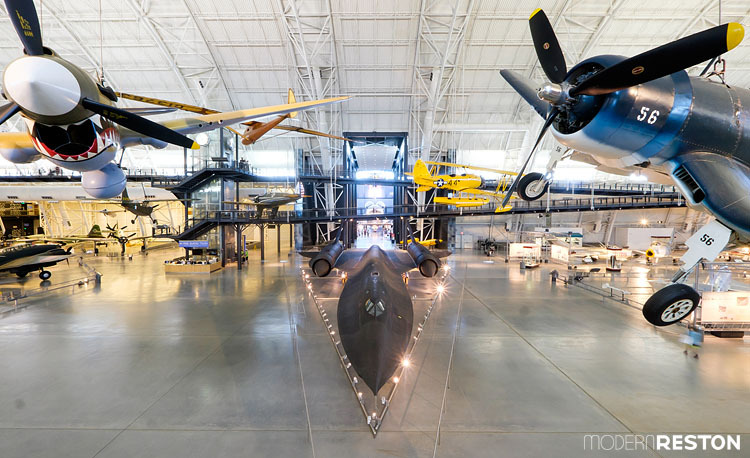 ☐ Visit the Udvar-Hazy Air and Space Museum. ☐ Go to a seminar through the Smithsonian Associates and learn about history, art, or science. ☐ Explore Colvin Run Mill and learn about 19th Century life. ☐ Take a cooking class together at Cookology. ☐ Take a weekly class together at the Reston Community Center. ☐ Explore the exhibits or take a class at the Workhouse Arts Center. ☐ Head back in time at Mount Vernon. What did we miss? Do you have great date ideas to share? Let us know in the comments!